On January 8, the annual Consumer Electronics Show descended on the Las Vegas Convention Center. Over the years, the show has become a window into the future with companies from Apple to Samsung to Tesla debuting new products and not-so-distant-future concepts. Not exactly the place you’d imagine a company that makes outdoor apparel and gear, advanced and sturdy as it may be, to have a presence. This year, though, The North Face had a huge announcement: a waterproof fabric called FUTURELIGHT that uses “nano-spinning” technology to create the most breathable waterproof fabric ever. And what better place to reveal a futuristic, space age-like fabric than alongside innovations in virtual reality and self-driving cars? Early rumblings suggest the fabric will absolutely change the game when it becomes available to the general public later this fall. We wanted the inside scoop, so we spoke to Jason Israel, Global Creative Director of Mountain Sports at The North Face, on the company’s latest innovation. For decades Gore-Tex has been the gold standard in waterproofing. Early reviews from athletes and others seem to point to FUTURELIGHT not just as an innovation, but a total paradigm shift. Can you explain that a bit? FUTURELIGHT is unlike any waterproof material currently available to consumers due to its breathability, unique set of performance benefits and The North Face’s commitment to sustainability in the creation of this product. The technology itself is made by very different techniques than others in the industry, making them difficult to even compare. 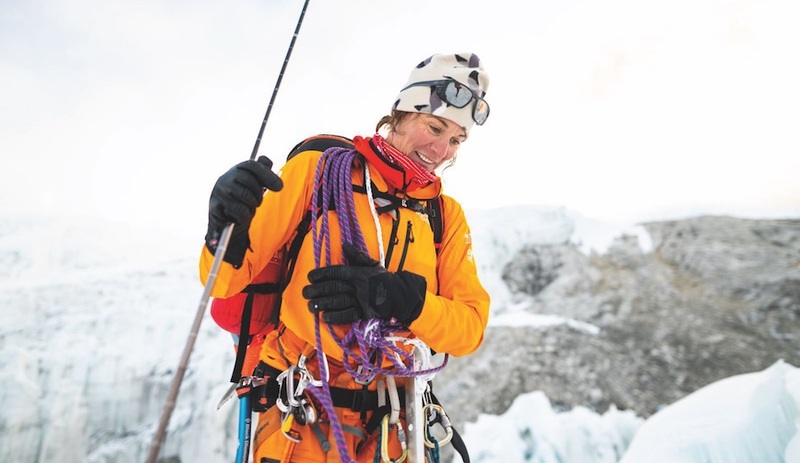 We’re proud of the extensive work by our teams to push the limits of product innovation to create a proprietary material technology that paves the way for the future of technical outwear. What are some of the key differences in look and feel consumers will notice in outerwear constructed with FUTURELIGHT compared to other materials? With FUTURELIGHT, waterproof fabric no longer needs to be crunchy, muggy and stiff. We created breathable, waterproof apparel that is, for the first time ever, light and comfortable with a quiet hand and stretch, while still providing the waterproofness and protection needed in the harshest and wettest environments. When people think of the Consumer Electronics Show, they likely think of smartwatches, smartphones, TVs, and other electronics. Why debut the fabric at CES and not an outdoor recreation trade show? As the global stage of innovation, the show presented the ideal environment to unveil FUTURELIGHT to the world. We constantly work to push the boundaries for what is possible with apparel and there was no better place to showcase this innovative technology than this annual event. With that, it is a natural fit for our band to launch the world’s most technologically advanced breathable-waterproof material at the most important event in tech and we look forward to continuing to unveil FUTURELIGHT at Outdoor Retailer and ISPO later this month ahead of its launch in products this fall. Word is the fabric was made possible through a process called “nanospinning.” Can you explain the process to a layman? The Nanospinning process has allowed our designers to add unprecedented air permeability into the membrane of a waterproof fabric for the first time. The process creates Nano-level holes like that of a mesh, allowing for incredible porosity while still maintaining total waterproofness, letting air move through the material and provide more venting than ever before. Additionally, Nanospinning gives our teams the ability to adjust weight, stretch, breathability, durability, construction (knit or woven), and texture to match athletes’ and consumers’ activity or environment. Designers can customize the fabric for specific usage, for example, by increasing breathability in garments for aerobic pursuits or increasing protection for harsh, wet climates. The ability to adjust these factors in fabric construction is unprecedented in apparel, equipment, and accessories. Beyond the design team’s desire to continue to innovate, what were some of the early reasons The North Face put so much time, energy, and resources into developing this material? FUTURELIGHT fabric was born in the mountains and inspired by our global team of athletes looking for increased performance and breathability in their waterproof gear. 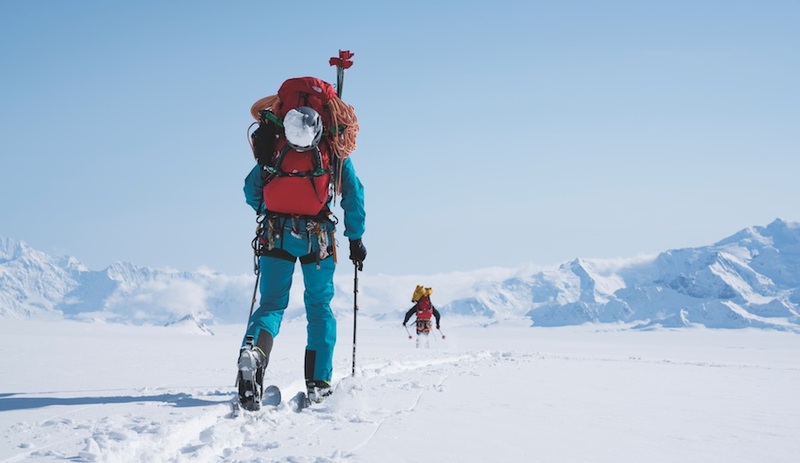 We feel The North Face has a responsibility to innovate and lead – in performance and sustainability – which are things that are really important to us as a brand. FUTURELIGHT is the next chapter in this storied heritage. I’d love to get more insight into the design process. I mean, words like “nano-level” sound kind of space age-like. Not to mention the fabric has “future” in its name. It’s almost like it’d be comfortable in outer space? Working with manufacturing partners that specialize in the medical, electronic, and robotic manufacturing space has allowed us to reimagine the possibilities of outerwear. This process of turning PU solutions into nano-sized fibers, which create the FUTURELIGHT membrane, originated in both medical and electronic industries and is unique in how precise and tunable the technology can be. In essence, the nanoscaled porous structure replicates that of a tissue and micro-scaled mesh form. Because of this, it is most often used in nanofiltration systems, tissue engineering, and membrane casings that house internal smartphone electronics. Though we’ll need to wait until Fall 2019 to get our hands on any FUTURELIGHT products, what are the possibilities of this new fabric? For the unveiling of the technology in Las Vegas, The North Face partnered with world-renowned engineering and design firm Designworks, a BMW Group Company, to create physical and virtual reality experiences to demonstrate the array of FUTURELIGHT™ fabric’s technical capabilities, and potential to change how humans are protected from the elements. With FUTURELIGHT, we can theoretically use the technology to make anything breathable, waterproof and for the first time, comfortable. Imagine a waterproof t-shirt, sweater, or even denim that you actually want to wear. Today we start with jackets and tents, but the possibilities could be endless.